When I got the chance to write a book I wanted to write about the complete picture. I was asked to do a book about exercise, but since I’m not an expert, I wanted to write based on the choices I made within health and what I learned on the way. Together with photographer Andreas Lundstedt, I made my first book. An important journey and I was so proud the day I saw it in the bookstore. I had written a book! 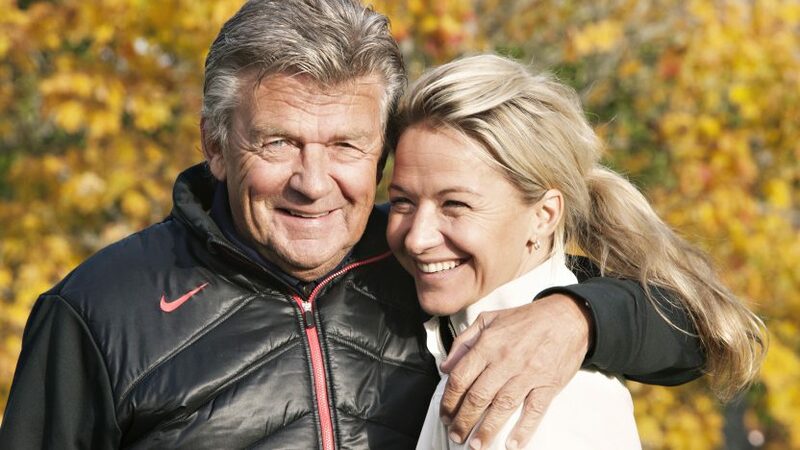 The television personality Kristin Kaspersen, known from the Morning News and Fångarna på Fortet (Prisoners of the Fort), tell in Strong In Body and Mind her personal path to health. She shares her tips on how to combine food and exercise with quality time for family, friends and career. Do you also want inspiration for a better life? Then, Kristin’s sincere and stimulating exercise book is something for you. You will be following Kristin on the journey to a healthier life – consisting of both workouts and luxurious dinners with best friends. Get an insight into a life where daily stress is not allowed to defeat the will to live here and now and where appearance is not the most important. The book offers training tips that strengthen you in everyday life, but also contributes to the wellbeing of the soul. Find the exercise that suits you best, enjoy your workout. Find out if your body is doing well with the food you eat, if you sleep enough hours – and if you laugh as much as you should. Kristin mixes personal experiences of incidents and adversities with inciting training suggestions and enticing food hints. It becomes a wonderful mix of pep talk, recipes for Daddy’s cardamom waffles, running programs and laughter. A book to read and live by. From the content: Find the joy in Training Functional Strength, Boxing Mental Exercise, My Food, Accepting Your Body, Diet Test, Self-esteem – Be True to Yourself! Laugh more!